Andorra. To me it sounds like the name of a fairy tale kingdom – far, far, away. In reality it is a country (yes a country – this was news to me too my fellow geographically challenged friends) in the Pyrenees Mountains, nestled between Spain and France. 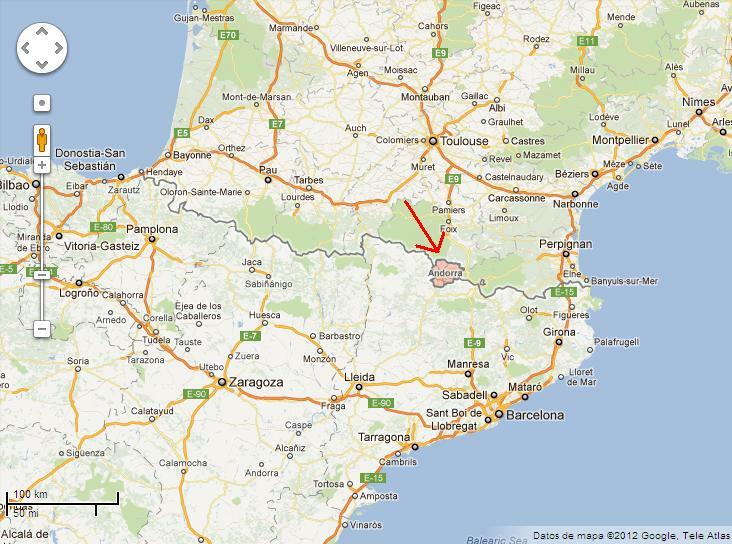 From Barcelona, this is not far, far, away, but merely a manageable 3-or-so hour drive depending on traffic. It is the sixth smallest nation in Europe and although the currency is the Euro, it is not part of the EU. I was a little disappointed, however, when no one checked nor stamped my passport on arrival or departure. The official language is Catalan, a fact I was excited to learn, since I’ve taken a Catalan course and am always eager to practice. 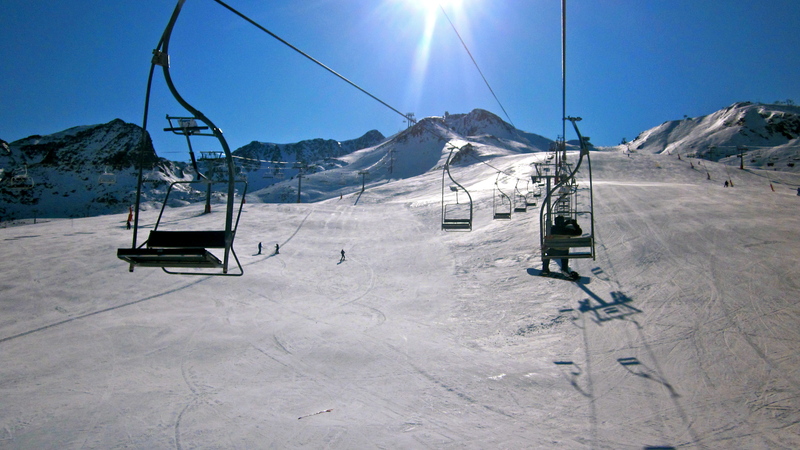 Andorra is mainly known as 1) a winter sport destination and 2) a shopper’s paradise because all is tax free. I recently ventured to this tiny landlocked country hoping to indulge in a little bit of both. I should start off by confessing I am not much of a snow bunny. I’ve attempted to ski twice in my life. Once on a college ski trip to the Poconos where I couldn’t afford lessons – I pretty much fell the whole time. Then again a few years ago in Lake Placid, where I took two days of lessons and discovered that thanks to a running injury I can’t really keep my skis parallel – again I pretty much fell the whole time. I wound up semi-injuring myself and my physical therapist had to tape my knee ligaments back in place. Oh the joys of getting older! Not one to give up easily, I figured I’d try out snowboarding before I relegated to snowshoeing as my only winter sport. So last month, while I was back stateside for the holidays, my friends and I organized a ski trip to Stowe, VT. I signed up for a few hours of snowboarding lessons and voila! A snowboarder was born. Okay, fine. I still pretty much fell the whole time, but it was a lot more fun, falling was a lot less painful, and I had a feeling I could get better if only I practiced. There is something to be said about learning to ski or snowboard at an older age. Yes, the falls sting a little more and the pain lingers a little longer. Yes, its a little frustrating when an 8-yr-old effortlessly skis/snowboards right past you; and yes its a little humiliating when someone witnesses your wipeout and comments – “wow that would have made a great youtube video.” Yet it is all worth it the moment your body learns to maintain its balance, you let go of the fear of going too fast and you let yourself glide down the mountain feeling the cold wind on your face. The sense of accomplishment is exhilarating – I highly recommend it. I also recommend a helmet, knee pads, wrist guards and some extra padding on your booty probably wouldn’t hurt. For the first time ever, I graduated from the bunny slope, and conquered my fear of the ski lift. I learned how to break and can finally stop without throwing myself onto the ground. Andorra may not be a fairy tale kingdom, but it will always be the land where I made it down the mountain without falling by holding on to nothing more than my pride. Now if only I could figure out how to get off the ski lift without causing a traffic jam I’d be set. Without further ado, here is a list of what I think are helpful things to know should you decide to venture to the land of Andorra. 1) If you plan on arriving late in Andorra DO stop for dinner somewhere along the way. We arrived in Adorra a little past 10pm and almost all kitchens were closed. Our only options were Burger King or some weird looking pizza place. 2) Smoking indoors has not yet been banned in Andorra. I actually saw people smoking ON the slopes! If you are a non smoker DO bring eye drops, some Febreeze, and practice breathing in less oxygen. If you are a smoker DO quit. Till then DO stock up on the tax free cigarettes and enjoy your smokes while being cozy and warm indoors. 3) DO look into group discounts for both the ski lift passes and lessons if you are a beginner like me. The discounts are significant. 4) DON’T assume your bank card will work in Andorra. I was very disappointed my debit card didn’t work and couldn’t do any shopping. So check with your bank before heading to this shoppers paradise. 5) DO take the time to have a proper lunch. 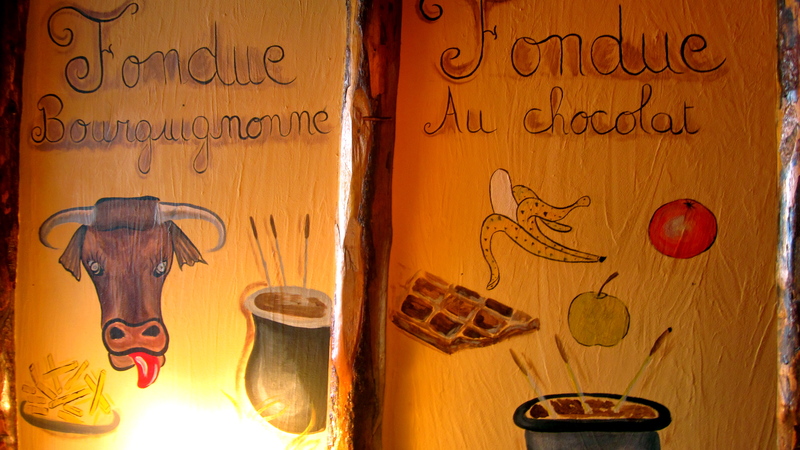 Being on the French and Spanish border there is lots of delicious and reasonably priced food to be had. I ordered a three course prix fixe meal for under 12 euros that included goat cheese toasts, beef bourguignon, and creme brulee for dessert. 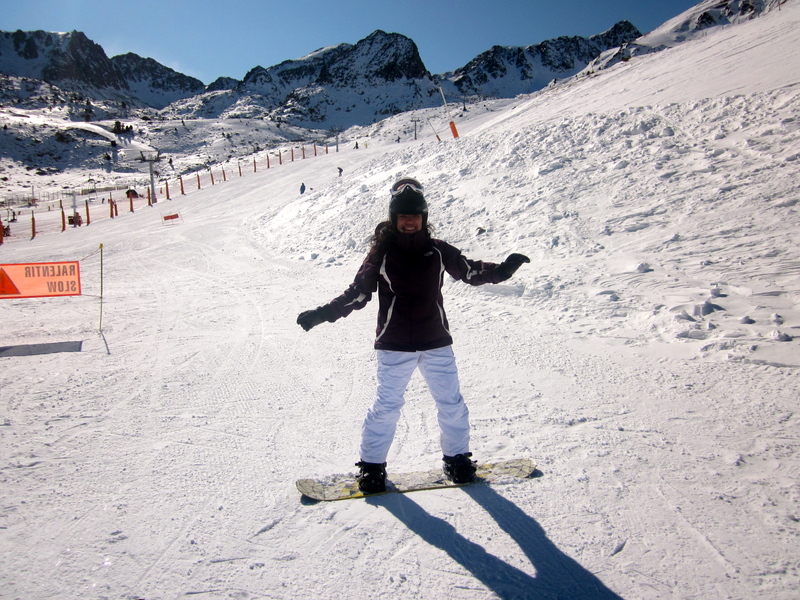 6) DON’T have shots before going back to the slopes – even if they are free. A glass of wine with lunch is fine, but anything more and you may find yourself at the top of the mountain waiting for your buzz to wear off. 7) DO research the various ski villages to see which ones have the best slopes for your level. I wound up at Pas de la Casa which isn’t the best for beginners and consequently I wound up on more difficult slopes by mistakes. Ignorance in this case was bliss. 8) DON’T expect a charming ski village. While Andorra has some top notch slopes (the Women’s Alpine Skiing World Championships were held there the weekend I was there), the villages themselves look like they were built in the 1970s. The architecture is drab and boring and does not resemble one of those cute villages you might find under the christmas tree. 9) If you are renting your gear, DO ask the hotel if they have a discount at one of the shops. You can also prebook at a rental shop to get a better deal. 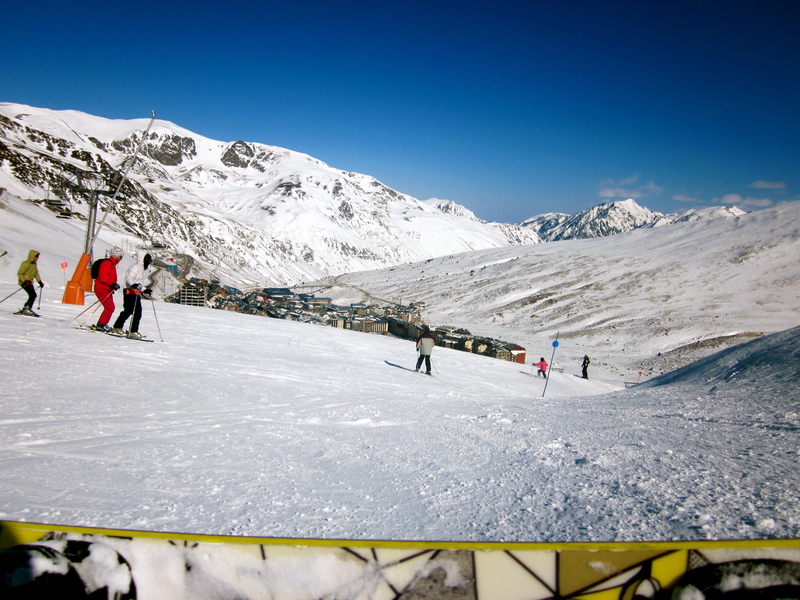 Overall gear rental in Andorra was significantly cheaper than in the US – 45 Euros for a two day rental compared to 72USD for a 1 day rental. 10) DO wander around the shops. As I mentioned all is tax free and you could score some bargains. Be it electronics, jewelry, ski gear, cigarettes, or your favorite libation. Accommodations: Hotel Magic Resort http://www.magicandorrahotel.com/ – a little outdated but very convenient location – a 5 min walk to the mountain. Breakfast and dinner was included in our package and both were pretty tasty. Snowboarding is a wintry sport and Everyone should know the Basics of Learn to Snowboard as a beginner. 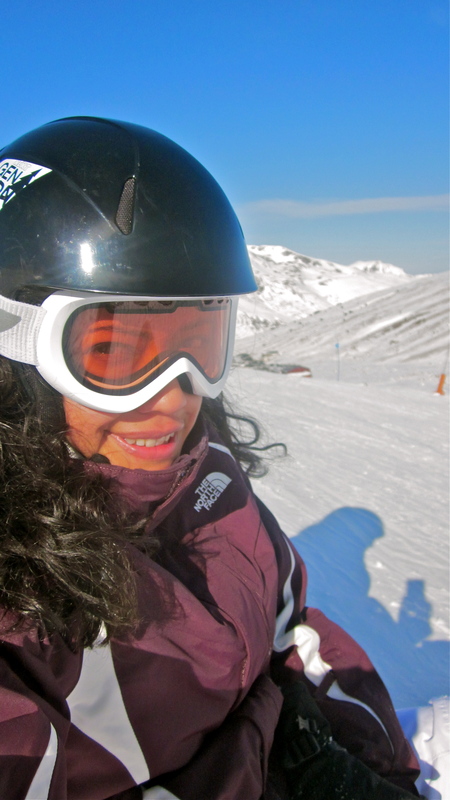 You have shared such a wonderful experience of snowboarding. Definitely this post will helps to overcome the fear of snowboarding beginners. Thank you for sharing with us.